Our verdicts and settlements here at Accident Lawyer Hawaii have consistently been highly favorable to our clients. Although, for privacy reasons, we do not publicize our clients' results, we can simply say that all of our recent trials have resulted in favorable verdicts for our clients, including a recent jury verdict in excess of $5 million. We are private about the results that we obtain for our clients because this approach has proven to be the best for our clients. We do not use your case as a vehicle for advertising our law firm. Generally we do not advertise on TV nor do we call press conferences about the cases we handle. Several of our recent trials have been followed by news reporters on a daily basis. Although the public has a right to know what takes place in the public courtrooms, once a case is over, it is best for our clients to move forward with as much confidentiality as possible about their financial situation. Some attorneys help to create a circus atmosphere around cases that they try by constantly talking to the press. Although we maintain excellent relations with the press, we do nothing to help them publicize the trials or the results of cases and settlements in which we are involved. Perhaps the best recommendations for our firm come from our clients and our peers - who have chosen to let their feelings be made known. We are thankful and humbled that both our clients and our colleagues have consistently given us the highest ratings and recommendations possible. As a result, our firm has been given the best ratings possible from the best attorney rating businesses. We are Top Rated by Martindale Hubbell (AV preeminent). We have the best rating possible from AVVO.com - 10 of 10 for both for general practice and for personal injury. 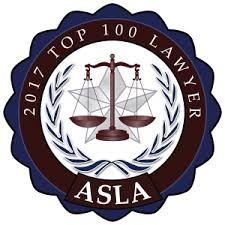 Both our clients and our peers have also given us the top ratings possible from Lawyers.com (5.0 of 5.0 for Peer Rating and 5.0 of 5.0 for Client Rating). Links to those ratings can be found on our Awards and Honors page. The ratings generally include individual reviews of our law practice which you may also want to consider. We would be honored to discuss your situation and possible claims with you. If appropriate, we would like to show you the top-rated legal services and the direct contact with the attorney on your case that our clients have come to enjoy. Please feel free to contact us so that we can show you why our clients and peers have rated us as one of the best personal injury law firms in the State of Hawaii. 2. Or if you prefer email, then please fill out the following form, including your correct contact information and the date of your accident, and then submit it. Since e-mail is not 100% reliable, please follow up with direct phone contact for all time-critical contacts.